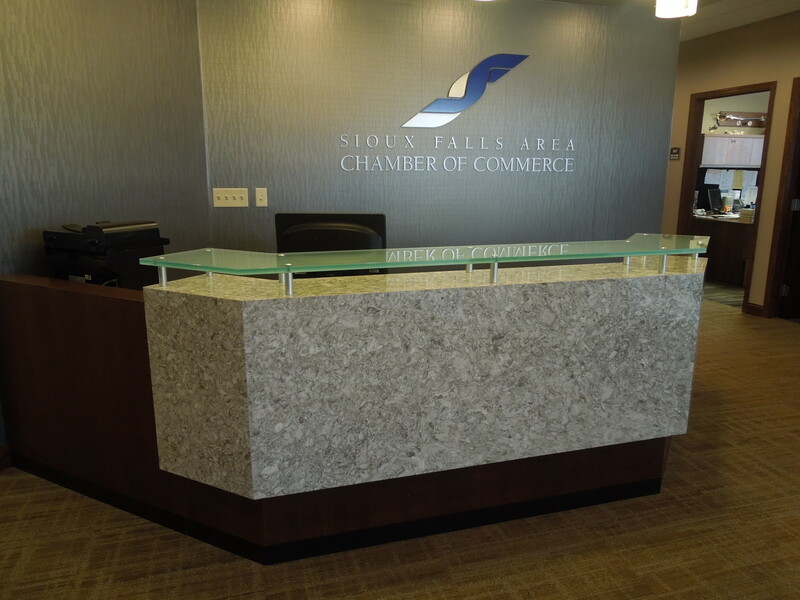 The Sioux Falls Chamber got a new look when Creative Surfaces designed and built them custom design cabinetry for their reception area, conference center and employee breakroom. 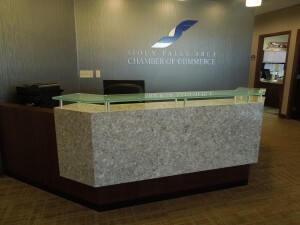 Walking into the Chamber of Commerce the first thing you will say is “WOW” when you see this desk with the Cambria quartz accent panel on the front and countertop. At Creative Surfaces, we create excitement. We are a custom design manufacturing facility – everything we do is custom and unique. We are NOT a cookie cutter operation…every customer and project is different in size, shape and location. We work closely with all of our customers to design, create, and install a project that meets their needs with an end-result that both Creative Surfaces and the customer can be excited about. 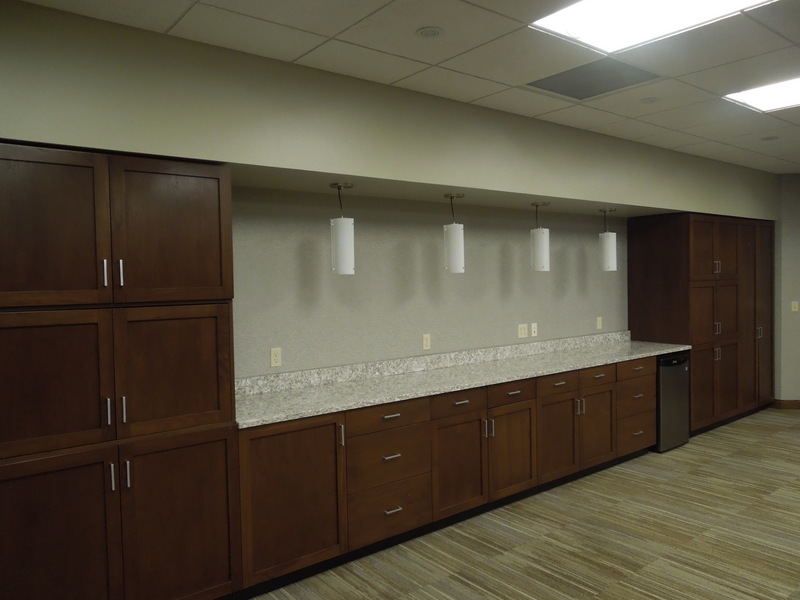 Our products and services include commercial cabinetry, high end millwork, custom designed casework for all types of industry. We work with fitness centers, hospitality and educational facilities, to retail stores and restaurants, financial institutions and mall kiosks. There is NO PROJECT too large or too small. Creative Surfaces is one of the top companies in the United States that manufactures and installs all of our own projects. A family owned and operated business, we have been handcrafting exceptional products at our two manufacturing facilities in Sioux Falls, SD and Rapid City, SD since 1988. At Creative Surfaces, perfection and affordability are possible and these are goals we strive to meet on all our projects.